EU Business School DBA Program, introduced to Shanghai from Switzerland over a decade ago and ranked 22nd globally, has now become a benchmark for international higher education programs in China. Against the backdrop of a new era of commercial civilization in China characterized by an innovation-driven sharing economy and orderly growth, the Program is tailor-made for the top 20% business elites in the country, aiming at reshaping their views on knowledge and the world through the guidance of leading professors who have global mindset and in-depth research capabilities, so that they become entrepreneurial scholars with deep knowledge and strategic vision, able to run successful businesses, lead the era, and create a future for the benefit of not only themselves, but also the whole world. A top private business school in Switzerland, EU Business School enjoys excellent teaching resources around the world, so it offers students exchange opportunities to study on the School’s different campuses in Switzerland, Spain and Germany, allowing them immersive experience in diverse cultures to develop a global mindset. Consisting of classic yet forward-looking research-based courses such as Methodology, Management Psychology, Macroeconomics, Economic Game Theory, and Multivariate Statistics, the curriculum aims at enabling students to gain insight into the nature of economic management and develop deep thinking capabilities. Committed to developing students’ philosophical thinking and research ability on profound economic management issues, courses in EU Business School DBA Program are taught by Chinese and foreign professors at the forefront in critical academic fields like strategic management, economics, behavioral decision making and risk analysis. Characterized by their solid academic knowledge and rich practical experience, alumni of EU Business School DBA Program are all high-level corporate management elites, most of whom with MBA/EMBA learning experiences at top universities home and abroad, including University of Cambridge, China Europe International Business School, and Fudan University. Always adhering to strict requirements for admission and graduation, EU Business School DBA Program ensures a high-level, high-quality alumni network through its rigorous pursuit for teaching excellence. An alumnus, who graduated from EU Business School with honors, often said to me: Read less. I guess what he is trying to say is that if you can't think independently, even a large amount of reading won’t be beneficial. In fact, the same is true for taking classes. Make sure that you know clearly why you go for a DBA program and what you hope to get from this experience, otherwise you may give yourself a hard time, just like me. I tried to pretend that I was enjoying what I was doing, but the truth was: I always sit up till the small hours in the morning to finish the papers. Fortunately, after suffering for ten times, frustrated as I was, I finally found the path towards truth: The process of learning is to let you know your own deficiencies, so that you become humble and hardworking, and you see your goals more and more clearly through the process. Time and tide waits for no man. Study always means opportunities, and we should feel fortunate that we can choose. 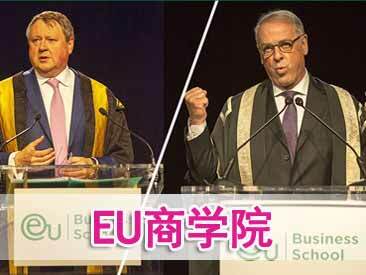 Underpinned by the huge Chinese market, EU Business School Shanghai Education Center has become a rising star in the long and well-established family of EU Business School. Here, you not only get help from the best teachers who have broad vision for the international market and deep insight into the domestic market; you can learn from your very capable peers as well. By learning from each other, we make progress together. EU Business School is an inexhaustible treasury for your career and it will bring you lifelong benefit. 上海希艾迪营销策划有限公司执行董事 Executive Director of Shanghai Xi Ai Di Marketing Consulting Co., Ltd.
One motivation for me to take the DBA courses is that the company I work for went public, so strategic transformation of the company was high on the agenda. How to effectively push forward such strategic transformation became the focus of my work. Therefore, I chose to go to EU Business School in the hope that I could increase my knowledge in a systematic manner and develop my ability comprehensively. In the DBA class at EU Business School, through systematic study, I gained a lot of knowledge, developed new perspectives, and expanded my horizons, all of which greatly helped my decision making and execution at work. At the same time, I got to know many good teachers and made a lot of friends. Exchange of ideas with professors and other students in the classroom is also a great learning experience in itself. 上海洗霸科技股份有限公司 副总经理兼董事会秘书 Deputy General Manager and Secretary of the Board of Shanghai Emperor Of Cleaning Hi-Tech Co.,Ltd. To pursue a DBA degree at EU Business School has turned out to be the biggest gain for me after I obtained my master's degree a few years ago. While studying in the DBA program at EU, I was impressed the most by the professors. Influenced by Western teaching style, they are all very good at motivating and inspiring students to find solutions to business problems. What they teach may seem to be simple at first glance, but in fact it contains profound knowledge. The logic of their teaching also serves as a training of thinking that many business elites are in urgent need of today. As the saying goes, the philosophy at the highest level can be described with the simplest words. Classes by EU Business School professors are so informative that you may find it not easy to absorb all the information during class, and you’ll need to still chew it after class. However, it may not be necessary to absorb everything completely. If you are enlightened by one or two points of a professor, that’s already a big gain, because you’ll definitely reap great benefits if you can successfully apply these two points in your work. EU Business School is a platform for heritage and innovation, for business and academic integration. We look forward to more excellent students joining us in the future and the emergence of more entrepreneurial scholars. 浙江伟明环保股份有限公司副总裁/高级工程师 Vice President/Senior Engineer of Zhejiang Weiming Environment Protection Co., Ltd. The offer by EU Business School is an official acknowledgement to our business development and management capabilities. However, my personal experiences and daily observations tells me that managers face one common issue, that is, after addressing a problem, we often fail to spend time to think and draw experience from the problem-solving process. The biggest improvement I have made at EU Business School is that I have changed my way of thinking. Thanks to the guidance and support of excellent professors, I am now able to systematically analyze the actual problems at work and continuously reflect upon them, which leads to enhanced ability of management innovation and decision-making. 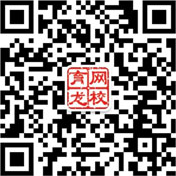 上海立信资产评估有限公司 总经理 General Manager of Shanghai Lixin Assets Assessment Co., Ltd. Note: Tuitions include costs for lectures, business cases, teaching materials, stationery, other relevant materials, interpretation services, etc. ; transportation and accommodation expenses for classes are to be borne by students themselves; student activity fees and other expenses will be charged separately. EU Business School DBA program offers different levels of scholarships each year to outstanding applicants with a coverage rate of no more than 20%. At the same time, it partners with many commercial banks in Shanghai to offer student loans at extremely favorable interest rates with flexible repayment methods through simple application procedures that can fully meet students’ funding needs. EU Business School Shanghai/Shenzhen Education Center reserve all rights to modify, update, and give final interpretation to information contained in this brochure. The doctoral thesis is an academic paper written by a graduate student pursuing a doctoral degree. Under the guidance of advisors, students are required to choose a research direction that they are competent to handle and also to explore new research fields. Students are required to have a large amount of theoretical knowledge about their field of research and have deep understanding as well as thinking of the theoretical knowledge. In addition, they must be fairly competent at carrying out independent research, able to provide original insights into the research field and produce valuable research results.